Del McCoury Band brings us some “World Class Bluegrass” at The Standard with Special Guest Van Eaton! Tickets $30. UPDATE 1/27/17: TICKETS ARE NOW SOLD OUT! WDVX and the Knoxville Americana Music Foundation present an evening of World Class Bluegrass with the Grammy award winning Del McCoury Band on Friday, January 27, 2017 from the Standard in Knoxville. 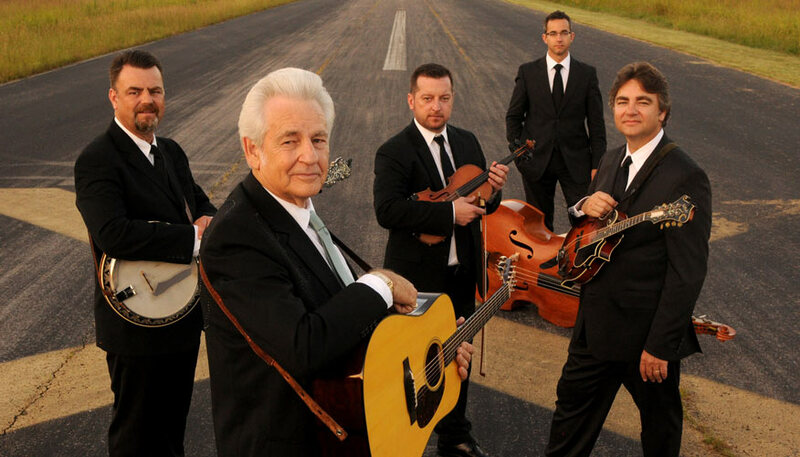 For those of you who know the Del McCoury Band you know what kind of treat you are in for. For those of you that do not: The Del McCoury Band continues to broaden the appeal of traditional bluegrass music beyond its core audience. With athletic soulful picking they will play familiar favorites along with progressive new acoustic toe tapping music that sounds like it comes from the hills of Appalachia or the jazz halls of New Orleans. With Del McCoury you will hear one of the great signature voices of bluegrass who is a rock solid guitar picker. Del McCoury’s relaxed stage presence and good natured audience and band jesting along with his infectious chuckle will put a smile on your face. For those of you who are “Del Heads” you know about his legendary quaff (hair-do in Appalachia talk). For those of you who are not: His “Delness” organically sports the royal crown of bluegrass hair. Be there or be square and get your tickets now before they sell out. Featuring Knoxville-favorite Van Eaton as the opening act.